Turner Asphalt offers concrete as an ideal solution or substitute for use in areas requiring more strength than is provided by asphalt. There are benefits and drawbacks to both concrete and asphalt, but concrete is the right decision for many projects. 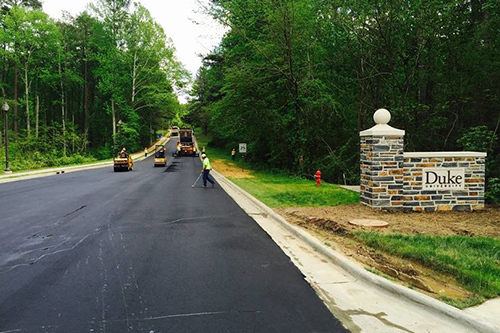 If your project in the southeastern United States needs concrete, Turner Asphalt is the right company for the job. We recommend that all of our customers make sealcoating asphalt pavement a part of their regular maintenance schedule. This service is only done every few years, and it has been shown that sealcoating a surface can more than double the life of the asphalt! Costing just pennies per square foot, this maintenance effort is more than worth it and should not be overlooked by anyone in the southeast. Because sealcoating is the main deterrent to the breakdown of asphalt, foregoing these treatments can have drastic effects. The surface will turn gray over time and cracks will form. Not only are these cracks at risk of water and chemical infiltration, but the asphalt becomes more permeable. When you complete a sealcoating service, it solves these issues and also returns the pavement to the attractive black color it was when it was first finished. The process begins with a thorough cleaning of the asphalt using power blowers. From there, stiff brooms are used to remove all dust and debris. Next, we prepare the sealcoat by adding up to 4 lbs of sand per gallon of sealant. This is crucial in order to prevent additional wear and slickness for the coating. 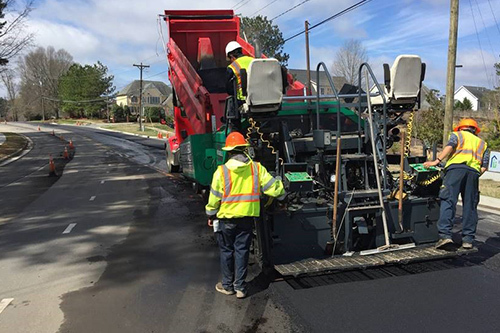 We then apply the sealcoat, made of coal tar, along with additives specific to the climate of the state of the project (North Carolina, South Carolina, Virginia, Georgia, Tennessee, and Florida all have different requirements and weather needs). 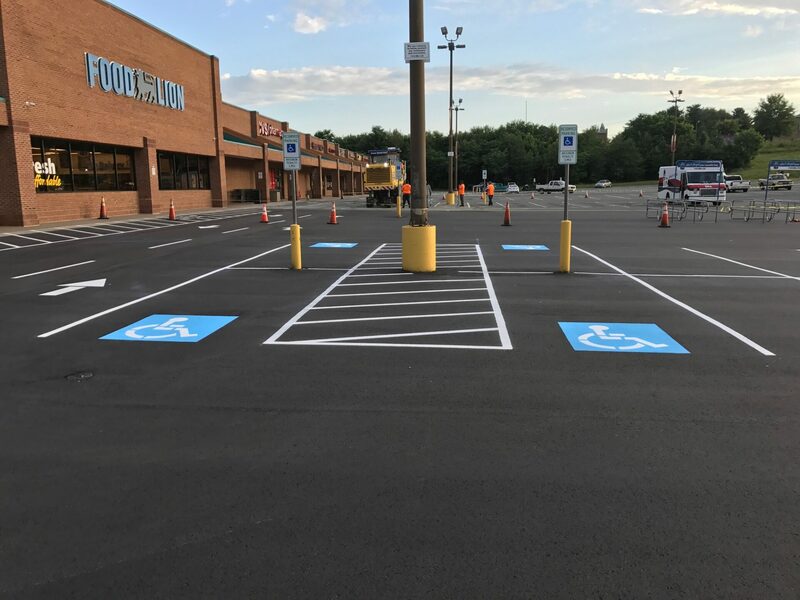 Once the sealcoat has dried and set, the Turner team will re-stripe and re-mark the surface according to customer needs and ADA regulations. Turner Asphalt applies professional-grade sealcoats throughout the southern Atlantic region. To set-up a sealcoating schedule for your asphalt surface, give us a call today at 877-887-6372.